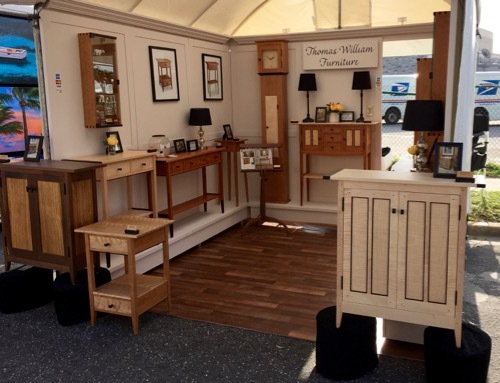 Our booth has evolved over the past twelve years that we have done art festivals. We thought we would fine tune it again for the 2016 season. At this past weekend's art festival in Fort Myers, Florida, ArtFest, we did the unveiling of our new booth. It was the first show of the 2016 season and this was our first time at ArtFest. ArtFest Fort Myers is Southwest Florida’s premier art festival and largest weekend event. Art lovers and collectors wait all year to join forces along the downtown riverfront and enjoy and purchase the incredible works of 215 fabulous professional artists from across the country. Their year-round professional staff with 16 years of consistent management work all year to produce this two-day, free to the public, community event that attracts over 85,000 art patrons, and focuses on providing an unparalleled art experience to their tri-county residents and winter visitors. Congratulations to Tom as he won an Award of Distinction at this show! With a new year and a new art festival comes new product to the 2016 Collection. One of our new products unveiled this past weekend is a music stand. 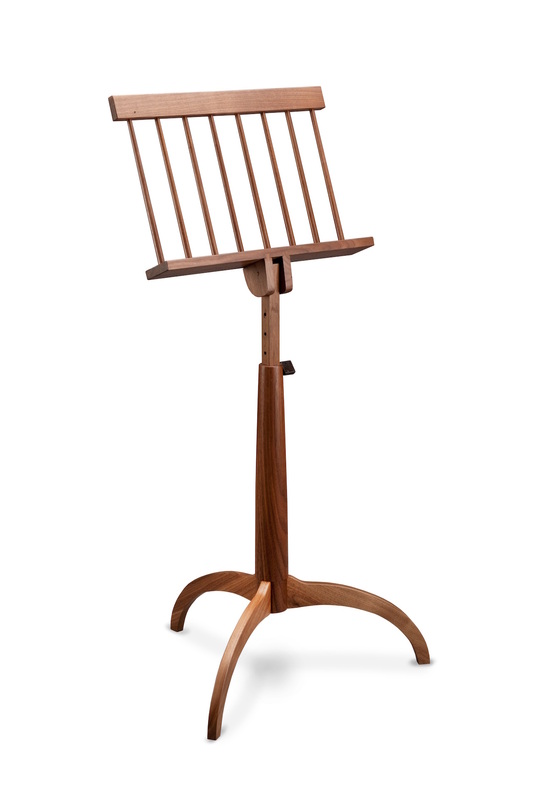 The harmonious design and expert craftsmanship of this handcrafted music stand highlight the natural beauty of its walnut wood. Solid wood construction in a pleasant and functional shape. This piece would add harmony to any room when not practicing. The pin system and swinging holder, make it easy to play standing or sitting down. Handcrafted, solid wood construction ensure that the piece is as well-built as it is beautiful. Two-coat lacquer finish. With a new booth, new product comes new shows. Our next show is this coming weekend in Jupiter, Florida. Celebrating 31 years, ArtiGras Fine Arts Festival has grown from a small, local art show to a nationally recognized fine arts festival attracting more than 85,000 art lovers and collectors. ArtiGras will be held President’s Day Weekend, February 13-15, 2016 at Abacoa Town Center in Jupiter, Florida. 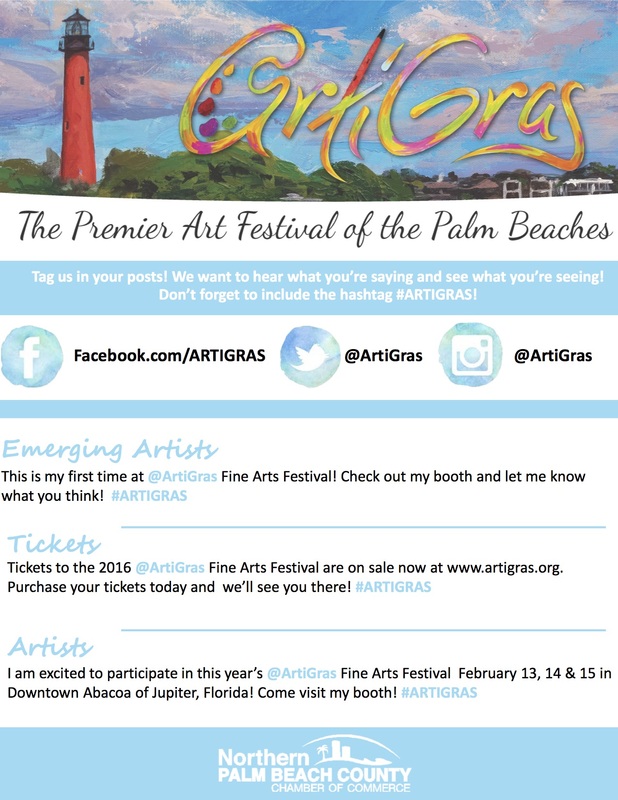 Produced by the Northern Palm Beach Chamber of Commerce, ArtiGras was recently named one of the top 50 fine art festivals in the country and features 300 juried artists along with artist demonstrations, Youth Art Competition, ArtiKids children’s interactive activity area, entertainment and more. Our booth number at this show is #187. Hope to see you there.